Around 1995/1996 Eric Parsons (who had left Mackay) and now resides in Nerang was approached by John Brockwell regarding north Queensland holding a Gold Point Event. The event was to occur on the Queens Birthday long week-end in June, a beautiful time of the year in North Queensland. After much discussion Eric approached Laurie Kelso from Townsville regarding the holding of a Congress. Eric could not apply for the event as he no longer lived in the north. 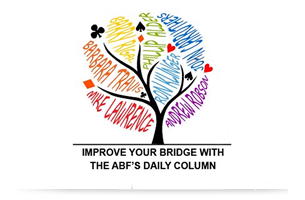 Laurie put an application together and sent it off to the ABF. With the assistance of John Brockwell the Barrier Reef Gold Point Event was formed. The first gold point event in North Queensland started in Townsville in June 1996 then Cairns in 1997 and then a first for Mackay in May 1998.